LONDON, ON - May 16, 2016 - A new Bible study on the book of Daniel, “Unlocking the Truth of Daniel”, shares startling information drawn from history on who the kings of the north and south were, and how early Christians mistranslated the Bible. Award-winning author Laura J. Davis utilizes her 40 years of biblical study to show readers how much of the Old Testament book of Daniel is historical prophecy already fulfilled, not in our future as many end-time prophecy teachers believe. “Unlocking the Truth of Daniel” (Reach One Publishing, $9.99, 212 pages, 6 x 0.5 x 9, paperback, ISBN 978-0973202212) is currently available through Amazon http://www.amazon.com/Unlocking-Truth-Daniel-Digging-Deeper/dp/0973202211 and bookstores everywhere. Laura J. Davis has studied the Bible inductively for 40 years. 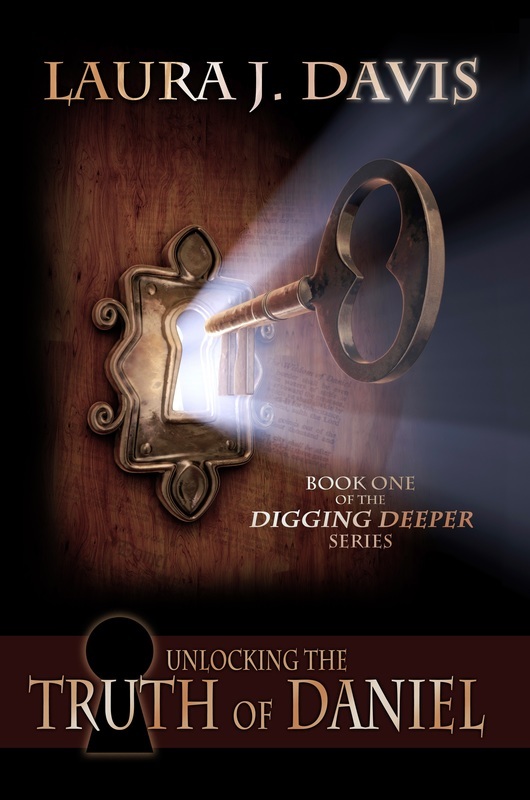 Unlocking the Truth of Daniel is book one in her new Digging Deeper series. She is a Reader’s Favourite Award Winner and has been published in Chicken Soup for the Soul. She currently resides with her husband Jim in London, Ontario. LONDON, ON – January, 8, 2014 – A new book on prophecy, He Who Has an Ear: Who the Seven Churches of Revelation are Today, helps Christians see the consequences of compromise in the church and what needs to change before Christ’s return. Award-winning author Laura J. Davis utilizes her 38 years of biblical study to offer readers a deeper look into the seven historic letters in the Book of Revelation. He Who Has an Ear offers a startling examination of how the Christian church has forsaken God to please the world and shows the consequences for those who refuse to acknowledge God’s Word as the final authority. 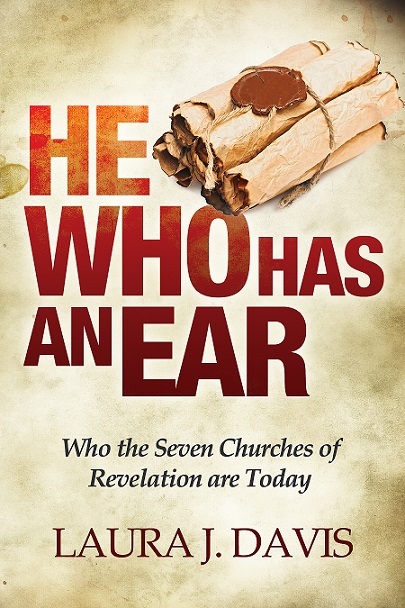 He Who Has an Ear: Who the Seven Churches of Revelation are Today (CreateSpace Independent Publishing Platform, $8.86, 160 pages, 9 x 6 x 0.4, paperback, ISBN 978-1492125051) is currently available online through Amazon and will soon be available in bookstores and online stores everywhere. Laura J. Davis is a certified Precept teacher, with over 30 years of biblical study under her belt. Her first book, Come to Me, won a Reader's Favourite Award. In 2013, her bible study Learning from the Master, Living a Surrendered Life, was featured in Book Fun Magazine as the non-fiction book of the month first place winner. She has a story featured in Chicken Soup for the Soul Married Life and Chicken Soup for the Soul the Dating Game. Laura is currently featured in the Author’s Network book, 50 Great Authors you Should be Reading. 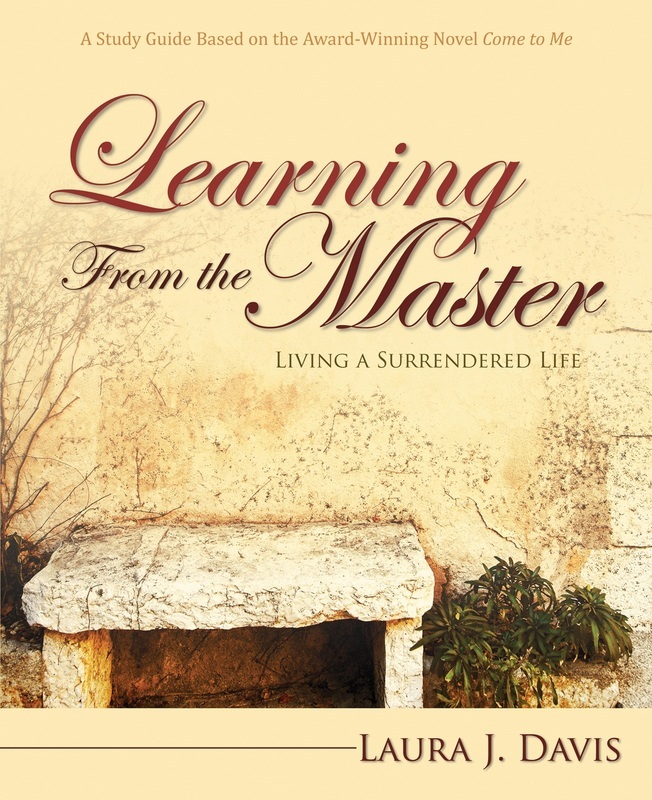 London, ON- Learning From the Master: Living a Surrendered Life is the newest offering from Canadian author Laura J. Davis. A companion study to her award-winning novel Come to Me, Learning From the Master follows the life of Christ, his mother and his disciples, giving the reader an in-depth look into Scripture on how they lived and they surrendered their lives to God so willingly. The author had this to say, "When I wrote Come to Me I spent a great deal of time in scripture. About half-way through writing it, I realized I had dug up some very important truths that needed to be shared with others. I thought the combination of a novel and a bible study would be unique to use in a bible study group or for personal use. I especially like the fact that it is user friendly and is perfect for new believers or even for those well along in their faith." Each chapter in the study will take you through the book Come to Me, giving the reader the opportunity to know Jesus in an intimate setting as He interacts with His family and friends. From there, the study takes the reader through various topics such as: faith, family, trust, doubt, and even wilderness experiences. In addition, other topics of discussion include the significance of the Bethlehem star, the last supper and of course the resurrection. Rick Larson, creator of the Star of Bethlehem DVD says, "Learning from the Master will guide those who read it into a deeper understanding of what it means to live a surrendered life." About the Author:A singer and songwriter for over 25 years, Laura J. Davis began writing full-time after an emergency surgery caused the loss of her singing voice. She is a member of several writing organizations including The Word Guild, Canada's largest group of writers who are Christian. Laura and her husband, Jim, reside in London, Ontario. London, ON - A new ebook by the John 3:16 Marketing Network will showcase the work of 58 authors who have banded together to share the Gospel of Jesus Christ through their writing talents. 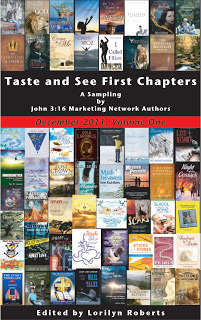 Slated for release in early December, Taste and See, a Sampling of First Chapters by John 3:16 Marketing Network Authors, will be available in various ebook formats. "I am excited to be a part of this unique project that offers readers over 58 first chapters of authors from the U.S. and Canada," says Laura J. Davis, whose novel Come to Me is one of the featured books. "The fact that it is completely free through the Christmas holidays, is something I think many readers will appreciate." How does it work? "Until January 1, everyone can download as many copies as they want from Smashwords and other distribution sites, including Apple, Kindle, Nook, and Sony with a coupon." Explains Lorilyn Roberts, John 3:16 Network's founder. "After the first of the year, people will need to sign up for the John 3:16 ezine to get Taste and See for free." Lorilyn started the John 3:16 Marketing Network, which is free to join, as a means of collaborating on book launches and other marketing endeavours. As of this writing, the network has grown to 150-plus members. In addition to launching books, the network offers book showcases, reciprocal blogging, monthly prayer meetings via teleconferences, a bulletin board, an active Facebook page, a site to post book reviews, and tutorials for some of the more technical aspects of marketing. The John 3:16 Marketing Network plans to publish the Taste and See book annually to enable readers to enjoy new authors' books. "We write and publish a lot of books each year," Lorilyn adds. "I am sure we will have many new books to include in another sampling next year." Taste and See will be free through the holidays. Sales links to the each sample chapter are included in the book. The book will retail for $3.99 at Smashwords.com after the holiday promotion. It will continue to be free after the new year if you sign up for the John 3:16 ezine. Distribution is planned through Smashwords.com and its retail network, the John 3:16 Marketing Network website and blog, New Christian Books Online Store, and network member blogs and websites. London, Ontario - Step back in time and experience the life of Christ through the eyes of His mother. 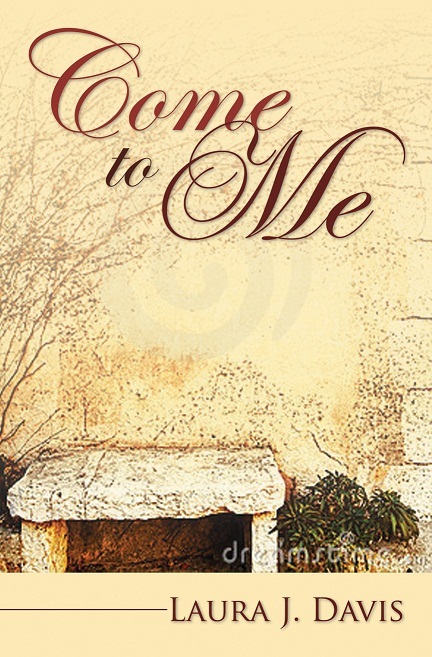 From Word Alive Press, Come to Me, by Canadian author Laura J. Davis, offers the reader an intimate glimpse into the lives of Jesus and his family in a way that brings them to life. Come to Me is available in most major Christian Bookstores and is available at Barnes & Noble and Amazon.com across North America and in the UK. About the Author: A singer and songwriter for over 25 years, Laura J. Davis began writing full-time, after an emergency surgery caused the loss of her voice. She is a member of Canada’s largest community of writers who are Christian, The Word Guild, where she volunteers as a first editor. Laura and her husband, Jim, reside in London, Ontario. This is her debut novel.